I just became aware of acclaimed English prog-metal outfit Haken about a month ago, having researched them upon seeing their new album Vector in a Newbury Comics weekly "new releases" email. 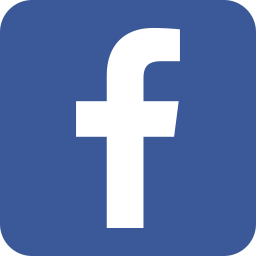 I consider myself a fairly casual prog fan. For me the genre is like horror films; I tend to ignore most of them but when someone does something really special with the form it's spectacular. Being desperate for some new music, I went right over to YouTube to check out Haken's latest singles, "The Good Doctor" and "Puzzle Box, and was instantly blown away, not only by their musicianship, but more importantly by the band's uncanny songwriting ability. Haken use their incredible technical acumen in service of crafting the best possible songs, something I find many prog bands seem to forget. Instead of just being a showcase for blazing chops, Haken's music consists of great songs that just happen to include the bells & whistles of prog music. I pretty quickly digested Vector (its 45-minute running time positively scant for a progressive rock album) and its predecessor Affinity, before settling on their third album, 2013's The Mountain. It's this conceptual masterwork I'm here today to talk about. The Mountain is a loose concept record about overcoming life's struggles, rising and falling, etc. Hardly novel subject matter, but the music on this album is simply fantastic. Listening to Haken's first two records - impressive in their own right but stylistically similar to Dream Theater and other bands of that ilk - gave me a full appreciation for how much the band stretched their legs on The Mountain. This record has many of the usual prog-metal hallmarks but also jazz influences and choral arrangements, plus far more mood swings than you'll find on most albums. The Mountain begins gently with "The Path," a piano/vocal introduction centering on the start of a daunting journey, which then gives way to the soaring, hopeful "Atlas Stone," a lofty 7-plus-minute piece about rising to the challenge. Things get quirky on "Cockroach King," with its seeming nod to the music of Danny Elfman, before a pair of excellent 4-minute tracks. "In Memoriam" is a powerful dirge in 7/8 time with one of many brilliantly infective chorus hooks found on this record, while "Because It's There" begins with a haunting jazz a capella intro before settling into a saccharin acoustic ballad. The Mountain goes into high gear in the second half with a trio of amazing, epic-length tracks (and one transitional piece). First up is "Falling Back to Earth," a 12-minute opus that shifts between 4/4 and 5/4 time and includes an absolutely killer chorus and an intensely soulful 6/8 bridge section. This song signals a tonal shift, when the album changes from hopeful and optimistic to jaded and sorrowful. After the brief, somewhat forgettable "As Death Embraces," the album closes with a pair of knockout songs. "Pareidola" is largely in 5/4 and features an Eastern-tinged melody (maybe the best chorus hook on the album), some dazzling instrumental breaks, and a towering, climactic outro. Finally we arrive at "Somebody," the mournful closer wherein the narrator confronts the person who has wronged him. This sullen tune alternates between a 4/4 verse and a 7/8 chorus, giving lead singer Ross Jennings plenty of room to belt out those grief-stricken high notes, before climaxing in a Hans Zimmer-esque orchestral wall of sound that would be right at home in a Christopher Nolan film. 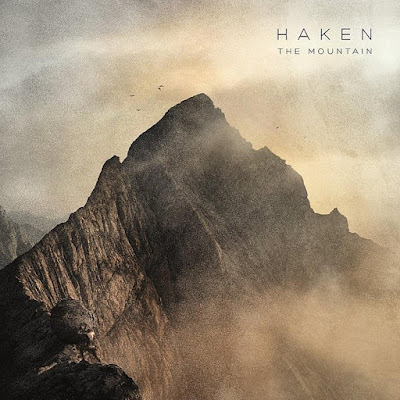 I've spent weeks digesting Haken's ambitious discography, and while every album has standout tunes, The Mountain has to be considered their masterpiece; from start to finish the songs are engaging, hooky as all hell, and technically virtuosic. Haken is one of the most exciting bands I've run across in a while, managing to write music that instantly grabs you but also rewards multiple listens. No small feat, to say the least.